With autumn approaching our shearling lambs are now becoming ready for sale. We will have regular batches going through between now and early December. If you would like to purchase half a lamb please contact us via our webpage. 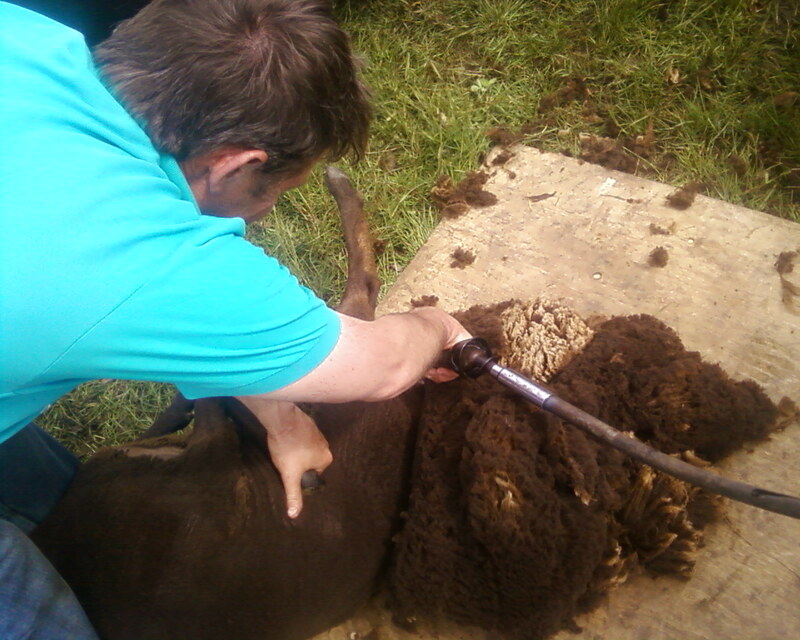 A big thank you to all those who came along and helped with the shearing this year. 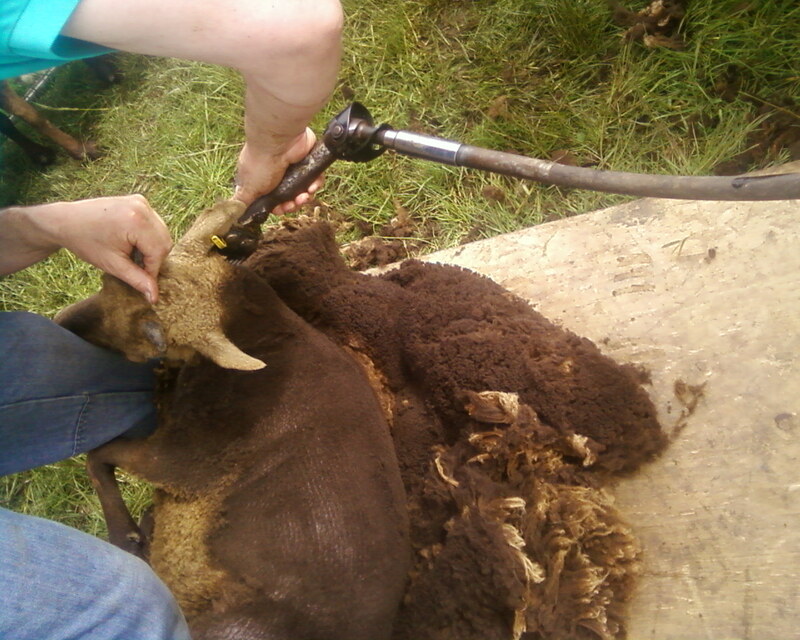 Here are a few photos from a ‘shearer’s eye’ view of work in progress. 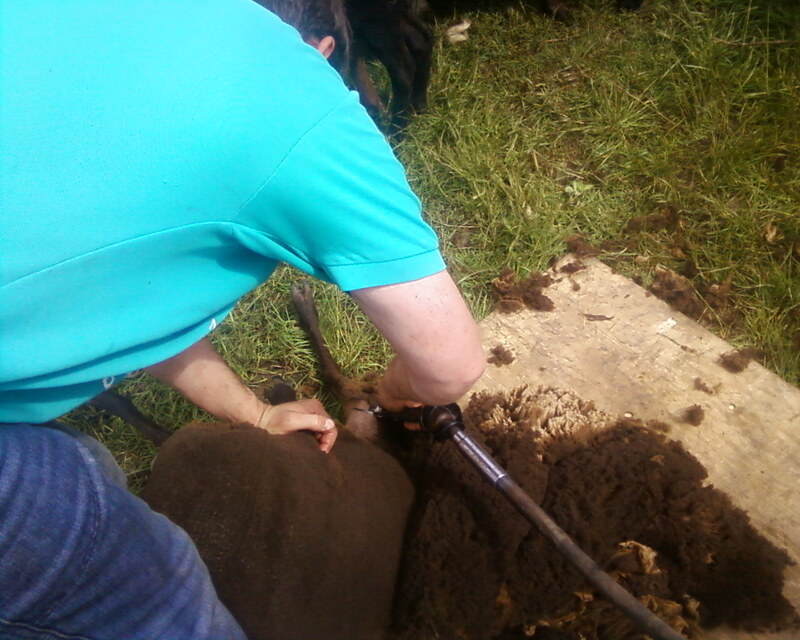 All the sheep are now nice and cool in the warm weather and I can work on standing up straight again!! Today was an opportunity for a few of the volunteers from Flexigraze to find out a bit more about where some of the sheep start their life as well as about upland farming in Northumberland. 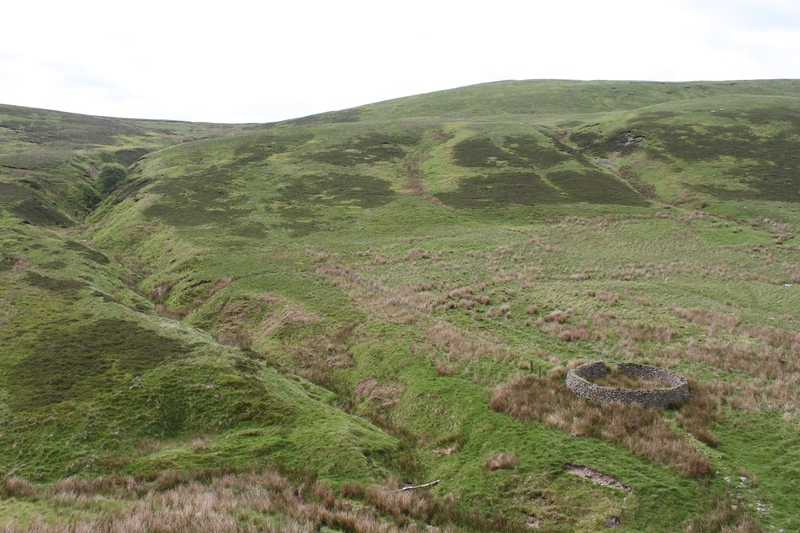 The destination was Low Bleakhope, situated deep in the heart of the Cheviots and a long way down a private track. The farm covers about 4000acres (1600ha) of rough ground with heather, grass, bracken and bog. 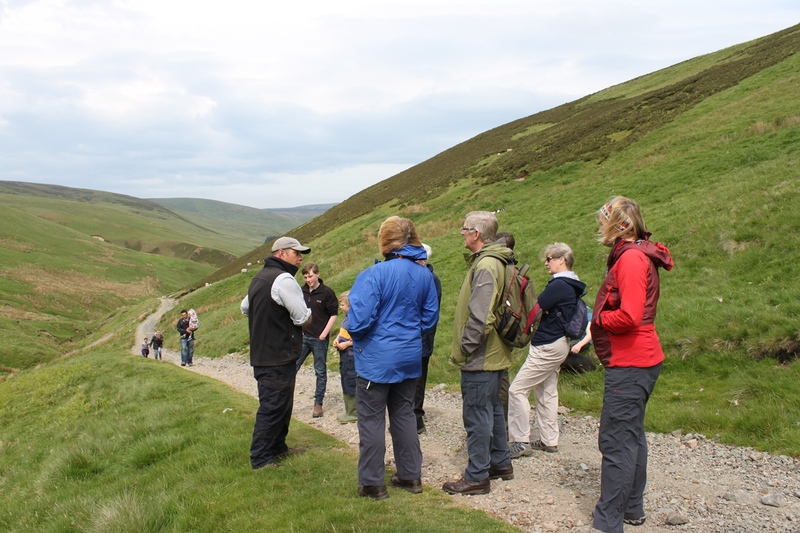 The group was taken up above the farm to get an understanding of the type of land and the importance of hefted flocks in this difficult terrain. 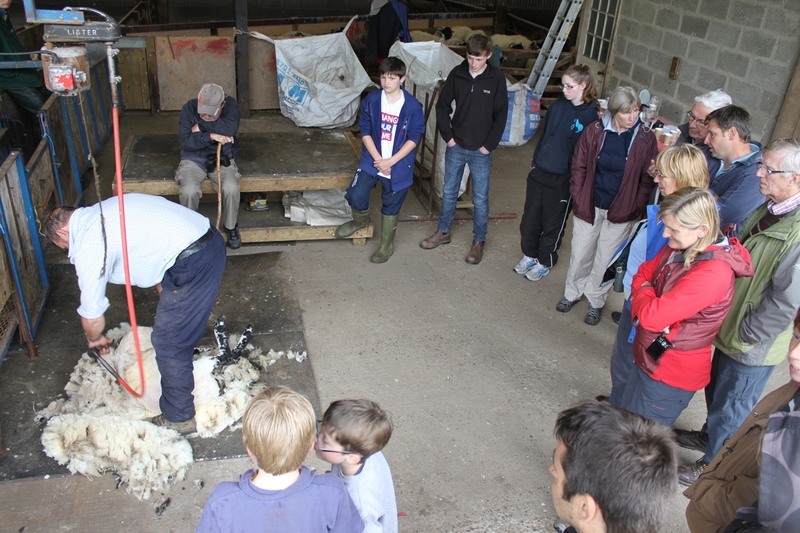 After lunch we learnt a bit more about the farming year and had a demonstration of shearing. The farm itself is not just remote and hilly it also has to rely on its own power generation being well off the electricity grid. Here solar, wind and a new water turbine all help augment the traditional diesel generator although recent lightning strikes have disabled much of the electronic systems that help it all work together meaning costly and time-consuming repairs. Many of the Flexigraze sheep come from Low Bleakhope, bought in during the autumn and then used to graze our conservation sites. Most of the volunteers there today help check the stock on these conservation sites and it was good to see where these sheep start their lives.